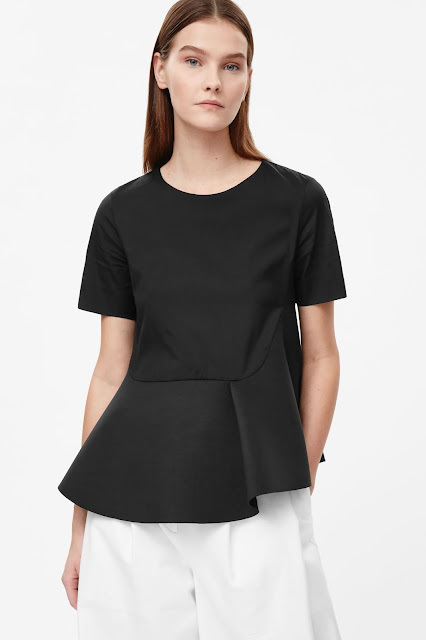 The Fashion Lift: The Best going Out, Out Tops without looking like you are trying toohard! The Best going Out, Out Tops without looking like you are trying toohard! Style Theory: I am a huge fan of dressing down a dressed up look, when going out for the evening whether it is to dinner with the husband, to a bar with friends or to the village pub, jeans and metallic heels are my this season go to. 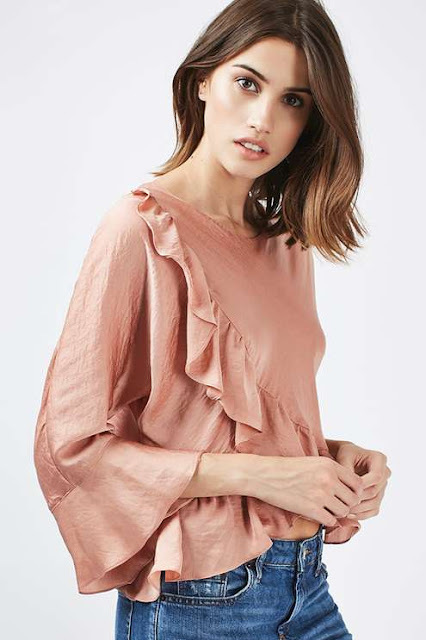 However I do like a 'dressy' top, not too crazy but a little different to what I would wear in the daytime, I love a touch of shimmer, frills or interesting details but most of all I like to be comfortable meaning the top must not be too clingy or tight. 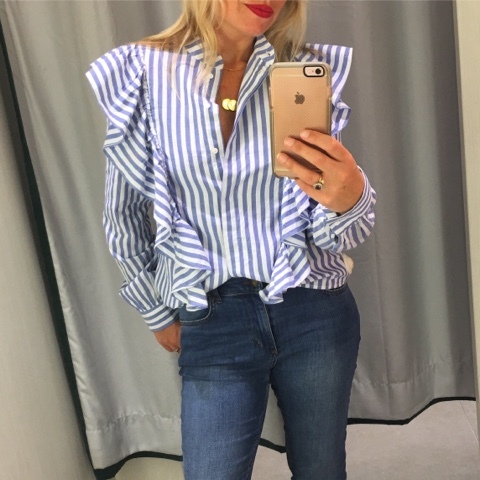 Here are my favourite tops on the high street now.. 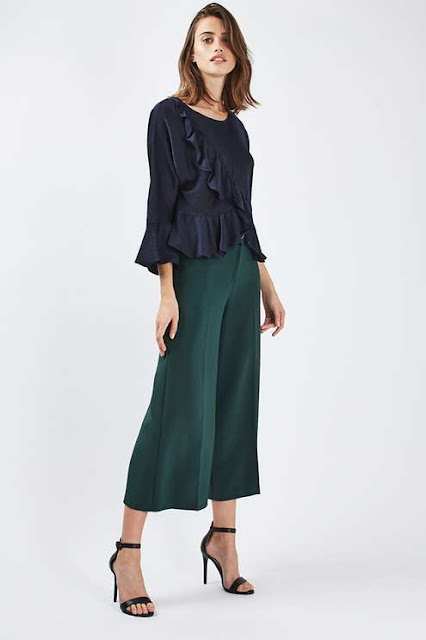 The ruffle detail on these two tops looks fab, they are quite short so wear with high waisted jeans/trousers or pop a vest top or body underneath. 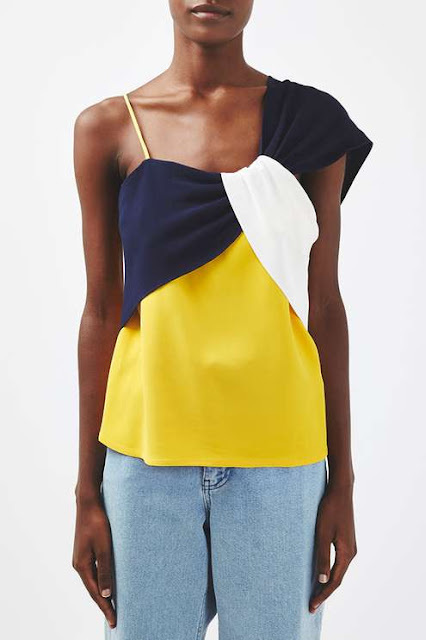 This is the perfect top of you are conscious of your tummy, it skims over a tummy but fits beautifully across shoulders and arms.Pair with skinny jeans and strappy heels for a cool look. I love a touch of shimmer and this top has sparkle and more, dress down with a pair of distressed jeans and heels. 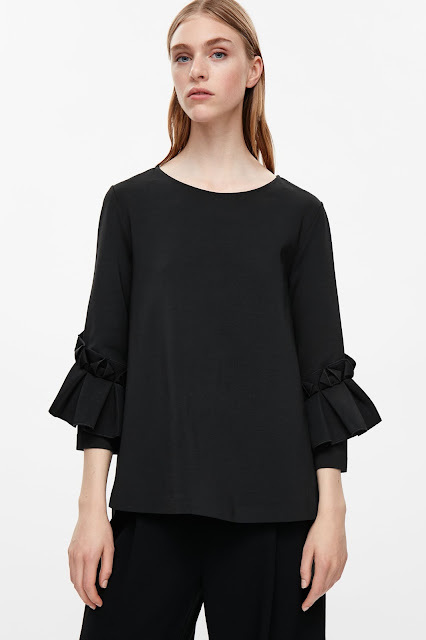 Slightly more out there with frills and florals, for the braver of us, but this top is beautiful so Gucci-esque without the price tag. pair with boyfriend jeans and black heels. 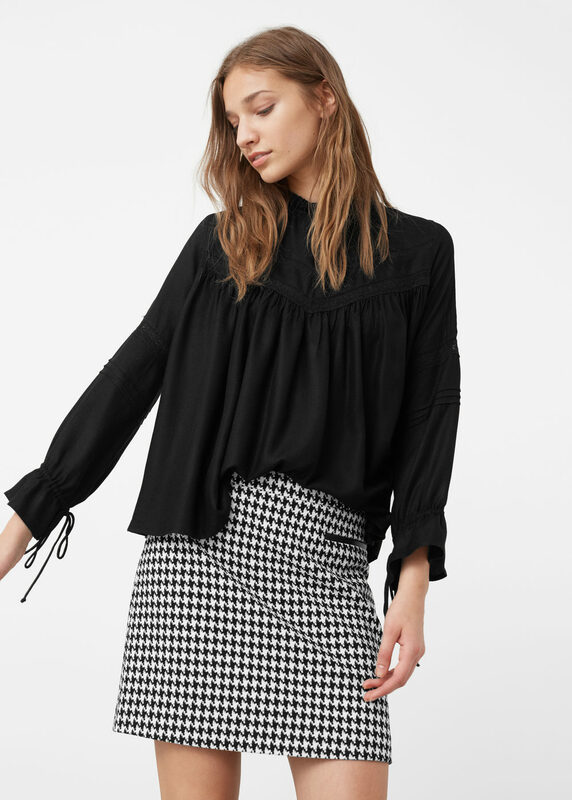 A fab basic top that you can mix and match with everything. 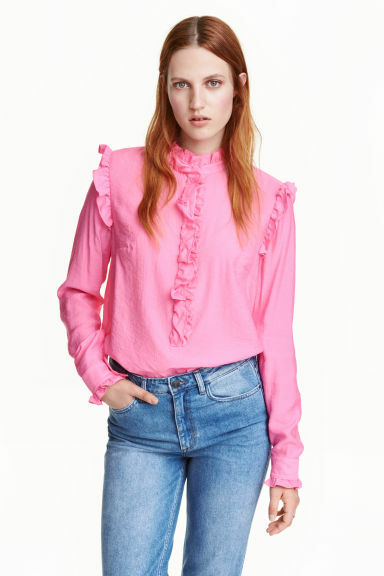 Keep things simple with this top tucked in to distressed jeans add a pair of velvet, jewel coloured heels, a dark red or green would look spectacular. Love this top, it looks fab on..
A does this top - love it..
A pop of colour always looks gorgeous. 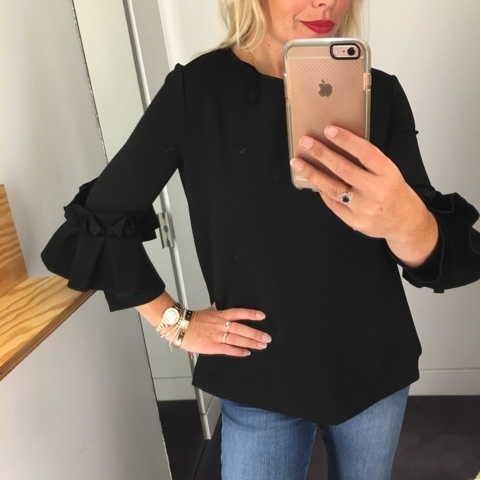 Love the detail on the sleeves on this top, it fits beautifully and would dress up jeans perfectly. 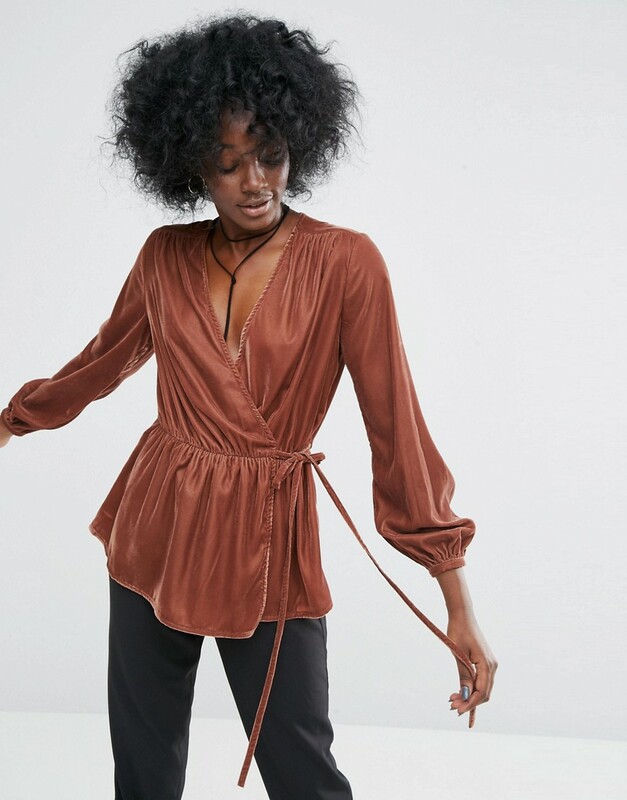 This is the season to invest in velvet, this beautiful rust colour will look fabulous with black jeans and tan heels. The dream top, super expensive but beautiful on, lace and victoriana heaven. Can you give me the link to the asos top? Cant find it and love it! Lovely tops! 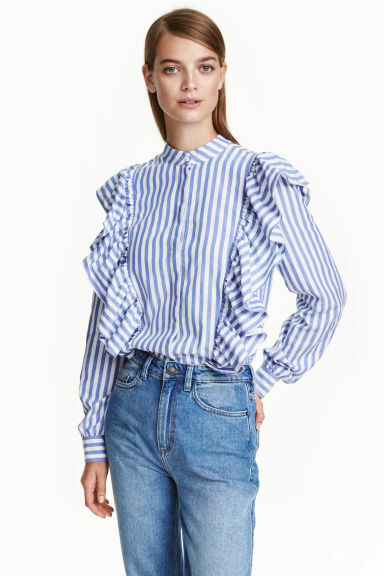 I would definitely pair a dressy peasant top or blouse with jeans and heeled clogs or sandals for warmish evenings out and when it's cooler then I usually would add a blazer and heeled boots. Love it but can't track or down. 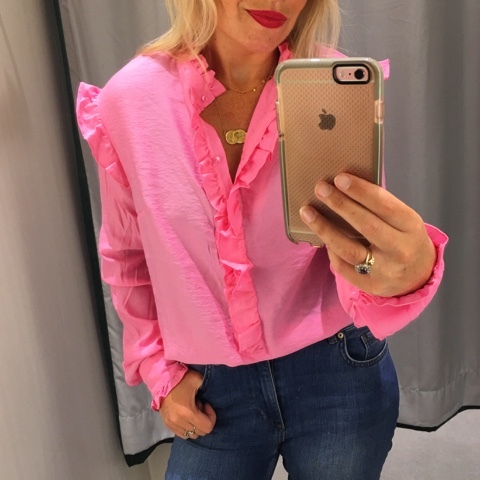 Thoughts on sizing of pink h&m top please! As a contemporary of the famous christian louboutin sale shoes designer, Christian Louboutin is undoubtedly the most visible, his figure often appears in various Party. He said in a high-profile, assertive attitude, changed the traditional footwear designers advocate inside, and quickly became an international star in a short time, his personal "marketing" charm contributed. He designed shoes may not be the most comfortable, but it must be the most unique. When juvenile period in the club's experience has affected his whole style, cheap christian louboutin shoes a favorite variety of bright colors, especially in open-toed style won him favor with the red flag on the soles Nama with the performance of the sexiest women heels, swaying side. No wonder so many stars are even willing to free him speak, show only part of christian louboutin outlet shoes style on the red carpet. I watch in its own approach.Watches Replica notification, the sporty and stylish analog clock, e-mail, SMS, calendar, health statistics, alarms, more banks for handbagreplica example, receive a customized alert, is always there with thousands of applications. Android and iOS devices and UK Replica watches scroll OLED almost instantly notice the notification is integrated when you pairing, Replica Rolex Watches in the eyes different custom vibration alert mode of unconscious due, Designer handbags . Who Influences you in Fashion?